What is Windows User Access Control (UAC)? Before Windows Vista and Windows 7 were created, the computer world still uses the older versions like the Windows XP. However, many computer users realized that even though they have installed the most updated protective software, the computers they have are still not merely protected from any harm at all. The problem was attempted to get resolved by creating multi-account users. The administrator and standard account was introduced. The standard account is only given limited privilege and access to the computer system; the admin account, however, is the one who can do all the changes in the system. But this still doesn’t solve the problem especially those who uses computers on day to day basis and hadn’t gotten into the habit of using the standard account. The problem was that some applications do not work properly using the standard user account. Since the standard account only gives limited privileges, the computer users tends to use the administrator account so that admin problems and errors will not occur. When the Windows Vista and Windows 7 was introduced, a built in safety measure was created to address the problem. The User Access Control or the UAC was created to help protect the system from any unauthorized changes by any standard account. This new feature gives more protection to the system, as well as to the computer owner himself. But how does UAC actually works? The UAC actually consist of security network that is called token. The security token is a set of permissions for certain actions that is granted only by the admin account. Regular account users, under UAC, are given only the permission token in which limited privilege is allowed only to the regular user, such as reading email, surfing the internet, and making documents. If the standard user tends to do something that involves admin privilege, the User Access Control or UAC enters, a new window pops up and ask the user for credentials. After the credentials are verified and are valid, the standard users are now given the security token and are now permitted to do the action that was requested even without changing to the admin account. On the other hand, the Administrator account under the UAC, consist of two tokens. The first token is for the daily regular-user work and the other one is for the admin-level privileges. Programs like the browsers or word processor programs are under the first token since it is used in a daily basis. However, if the admin user account tends to do an admin privilege, such as installing programs or changing setting, the UAC will ask for permission to do the action and then performs it using the second token. Computer experts recommend the use of the standard account for day to day basis and avoid the daily use of the admin account. Since the UAC system now gives the standard account authorities to do admin stuff in a minimal way, the computer system becomes more protected from any harmful events such as infection of viruses, malwares and adwares and any installation of vulnerable and unknown application and programs. In the event that the computer becomes infected of any viruses using the standard account, the virus will not be able to access the global system of the computer, thus the severity of damage is less and limited. The user, on the other hand, is given the opportunity to turn on/off or change the setting of the UAC. Here’s how. Click Start button, go to Control Panel, and then click on User Accounts. Click Turn User Account Control on or off. A window will now then appear asking for administrator password for confirmation. After the confirmation, select the Use User Account (UAC) to protect the computer checkbox to turn the UAC on, or uncheck the box to turn off the UAC, and then click OK.
To change the settings, go to Change User Account Control which is still under the user accounts. A window will appear with a slider that consists of four options. Choose from the four options using the slider, and then click OK. These four options are the levels of the UAC protection. The lower the slider go, the less protected the computer becomes. Always restart the computer after making any changes so that the changes made will be saved. Though there are many complaints from computer users in using the UAC, it is more advisable not to turn it off. Some prefers to turn the UAC system off because the prompts are becoming more annoying and bothers the user a lot. But turning the UAC off lets the system becomes vulnerable and unprotected from unwanted programs and viruses. On the other hand, a new product was created to purposely mimic what the UAC do and intends to protect the computer system in a less annoying way. 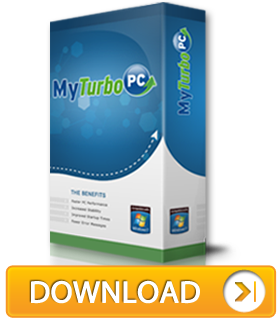 MyTurboPC includes a special feature that the UAC also provides but more than just protecting user accounts, the software protects the computer system from any harm as well. Users may want to take advantage of this feature and more by trying out the software.